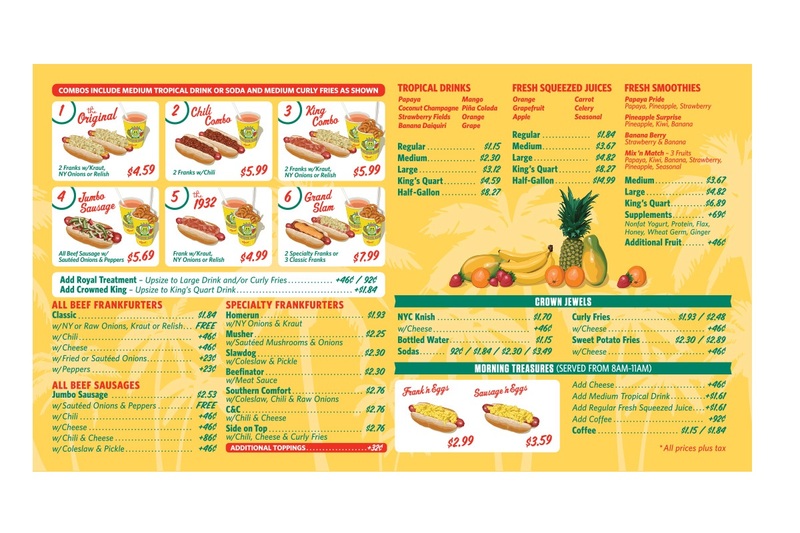 If you live in New York and have never been to Papaya King, we suggest that you stop reading right now, and go get yourself a hot dog and a tropical beverage. 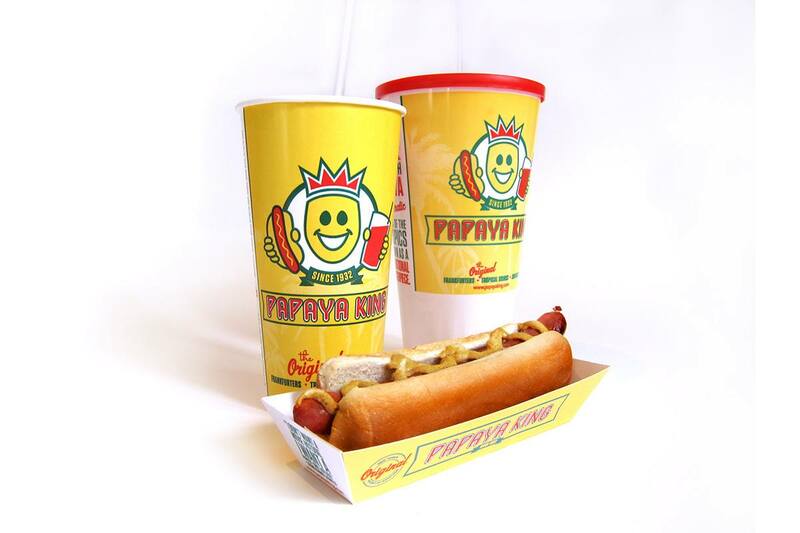 Papaya King is a veritable NYC institution, servings up dogs and drinks since 1935, but let’s face it: Even kings need a new look now and again. 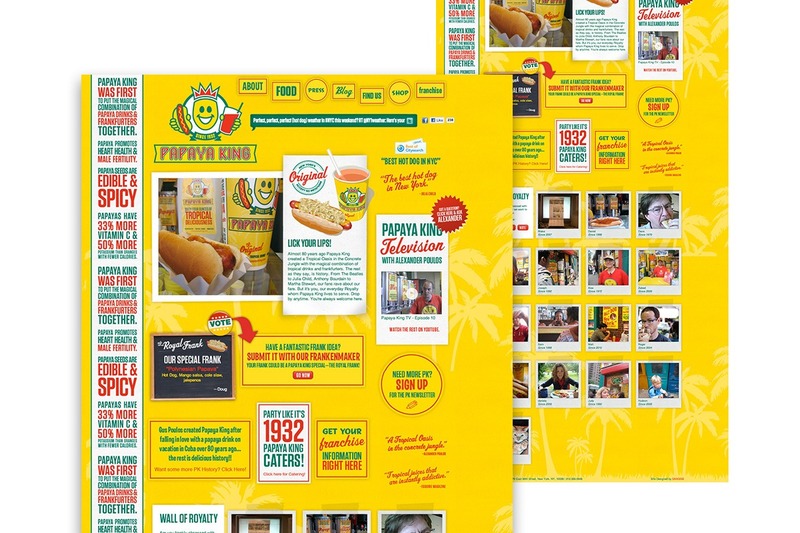 Our assignment (which we chose to accept) was to update the Papaya King’s brand identity, collateral, website, online marketing and retail outlets. We took a chamois cloth to that venerable crown, giving the King a brighter smile, a more modern typeface, a new store design that maintains those classic signs (the ones that are like a beacon in the night), and a website that emphasized PK community. The result? A brand ready to build its 21st century empire.